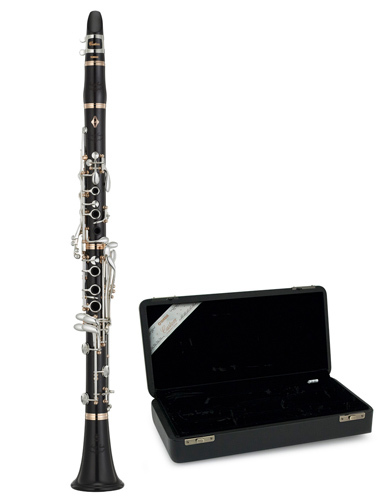 A brand new model in Yamaha's clarinet range, the new SE Artist Model is a clarinet that gives players a rich, warm sound with the versatility to explore a wide range of musical possibilities. The flagship model in Yamaha's ever evolving clarinet range, the new SE Artist Model promises to be a fantastic addition to the Custom clarinet series.With a new bell and barrel design to enhance resonance the SE Artist builds on the success of the CSG model but adds an even richer core sound and more projection. Designed carefully with input from the worlds leading clarinettists the SE Artist Model is a deluxe clarinet model that is perfectly suited to the demands of modern players performing at the highest level across a wide variety of genres. Premium hand selected and treated Grenadilla wood. Hand finished to the most exacting standards. New bore design to reflect the needs of modern clarinet players. The perfect balance of projection, precision, clarity and warmth. Supplied with artist model case and accessories.